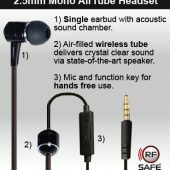 For over two decades, RF Safe has been helping consumers across the globe reduce cell phone radiation by distributing the highest quality anti-radiation air tube headsets. 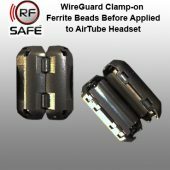 RF Safe Air-Tube Headsets were designed because studies have proven that wired-headsets do not make cell phones users safer from cell phone radiation. 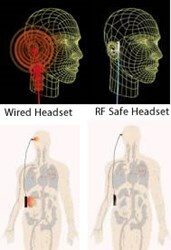 The headset wire connecting a cell phone and earbuds can serve as an antenna that radiation can radiate from when a wired headset is used with a cell phone. The radiation generated by the cell phone is transferred through the wire connecting the phone and earbuds – than radiation penetrates the head directly through the ear canal. Depending on what type of RF test is performed, cell phone headset earbud emissions into the ear canal can be higher than emissions when placing a phone directly against your ear. RF Safe headsets are a combination of engineering feats that overcome the potential hazards of radiation reaching the ear canal. 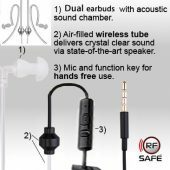 By delivering live on-stage sound through thin acoustic air tubes instead of wires users can enjoy excellent sound without electrical components in the ears. 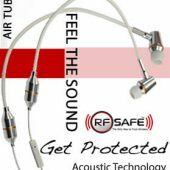 Radiation concerns aside, RF Safe’s acoustic sound delivery to the ears is being highly praised by musicians as live on-stage sound only acoustic tube technology can deliver. 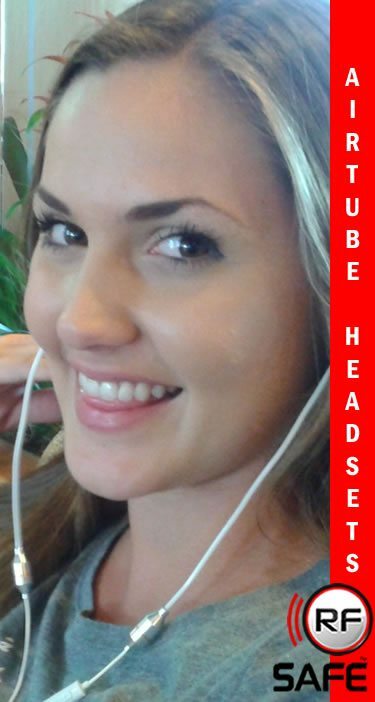 RF Safe headsets are made to last; speaker components are sealed in strong anodized aluminum and the acoustic ear bud chamber is also durable, ultra-light, non-corrosive anodized aluminum. 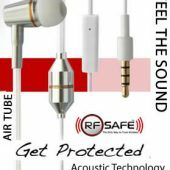 RF Safe headsets using this amazing acoustic sound tube technology have a sound smart phone users will love – from a headset built to last.